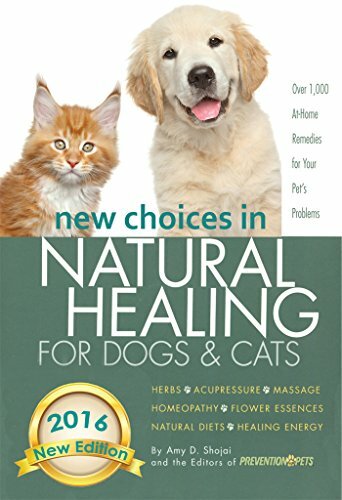 From the author who brought you THE FIRST-AID COMPANION FOR DOGS AND CATS, award-winning pet journalist Amy Shojai presents this new large-format edition of her popular alternative and complementary medicine guide for pets, NEW CHOICES IN NATURAL HEALING FOR DOGS & CATS. At your fingertips you’ll find over 1,000 at-home remedies for your pet’s problems. This new edition is a vet-approved, authoritative guide to homeopathy, supplements, and hundreds of other new choices for keeping dogs and cats healthy! Strengthen joints and repair cartilage with this all-natural enzyme (page 114). Push the “aspirin” point for instant pain relief (page 135). Stop behavior problems like barking with a flower essence (page 150). Herbs that fortify immunity and can help prevent cancer (page 178). Eliminate swelling with this powerful nutrient (page 233). 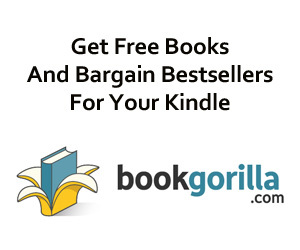 A one-week plan to get rid of fleas– without harmful chemicals (page 263). Discover for yourself how America’s top holistic veterinarians treat their pets without using drugs…and how you can do it, too!